Open for 5 days a week (Monday – Friday) during term time only. Runs from 3.05pm until 6:00pm. Provides snack and drink to all pupils attending club. Offers play activities in the dining room, school hall, Media Suite and outdoor area. Open to all pupils in Ysgol Emmanuel (Reception – Year 6) up to a maximum of 40 places. Require pupils to sign in and parents to sign out. Additional fee of £5 per half hour will be charged for late collections after 6pm. Collection of pupils is via main entrance. 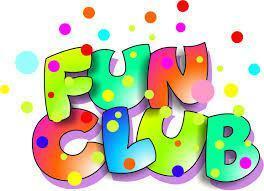 Please find complete a registration form which must be given in prior to the first day your child starts the Fun Club. This contact/medical information is essential should an emergency occur.